Acne vulgaris is a prevalent and non-discriminatory condition affecting individuals of all races and ethnicities. As people with skin of color make up a rapidly expanding segment of the US population, dermatologic care must evolve accordingly to address their distinct concerns. Patients with skin of color with acne can be particularly challenging, given their potential for cosmetically disturbing complications, including post-inflammatory hyperpigmentation and keloid development. A variety of treatments have been shown to be effective in preventing or treating these complications. Topical retinoids are considered first-line therapy for acne in patients of color; topical alternatives include azelaic acid, dapsone, and antimicrobials. Hydroquinone may be used in combating post-inflammatory hyperpigmentation, specifically. For more severe acne, oral agents, including oral antibiotics or isotretinoin, may be used. Most recently, various lasers and phototherapies have been suggested for their safety and efficacy in patients with skin of color with acne. Ultimately, recognizing the clinical and histologic differences, as well as the variations in treatment regimens for darker skin types will allow for better care and patient satisfaction. There are no conflicts of interest or sources of funding for any authors involved in the writing of this manuscript. Bureau UC. US Census Bureau news: more diversity, slower growth; 2004. http://www.census.gov/Press-Release/www/releases/archives/population/001720.html (Accessed 6 June 2013). Research CfDEa. Application number 21-794, Aczone (dapsone) gel 5%. Microbiology Review. http://www.accessdata.fda.gov/drugsatfda_docs/nda/2005/021794s000_MicroR (Accessed 8 June 2013). Brown J, Farquhar C, Lee O, et al. Spironolactone versus placebo or in combination with steroids for hirsutism and/or acne. Cochrane Database Syst Rev. 2009(2):CD000194. doi: 10.1002/14651858.CD000194.pub2. 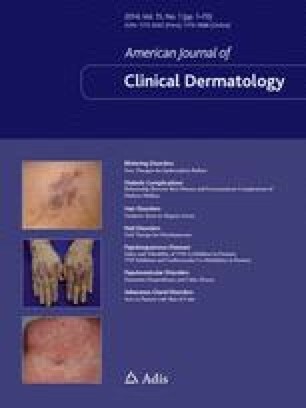 Rojanamatin J, Choawawanich P. Treatment of inflammatory facial acne vulgaris with intense pulsed light and short contact of topical 5-aminolevulinic acid: a pilot study. Dermatol Surg. 2006;32(8):991–6 (discussion 6–7). doi: 10.1111/j.1524-4725.2006.32221.x.